Hello there! I hope you had a wonderful weekend? The man and I have been in Gothenburg for a couple of days where I finally paid a visit to Artilleriet - remember the studio?! 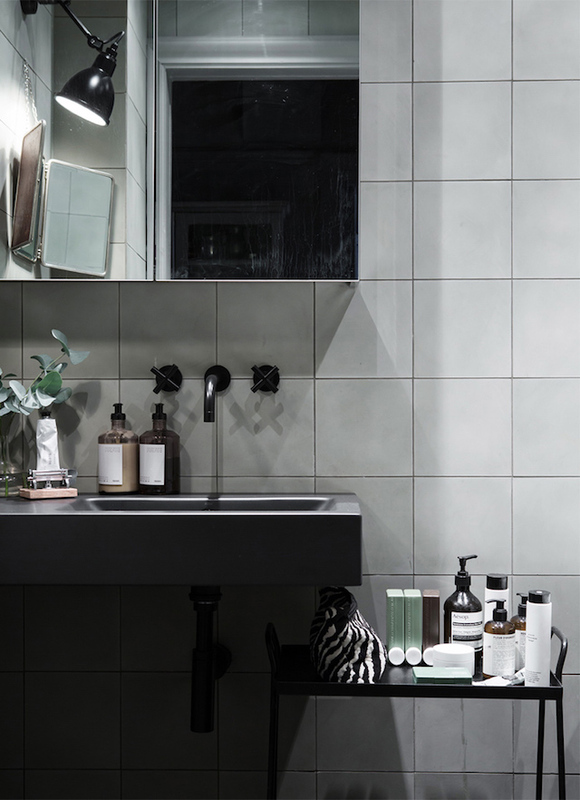 In store, rich dark green walls provided an atmospheric backdrop for an assortment of art and the most fabulous home decor items - I was in design heaven! 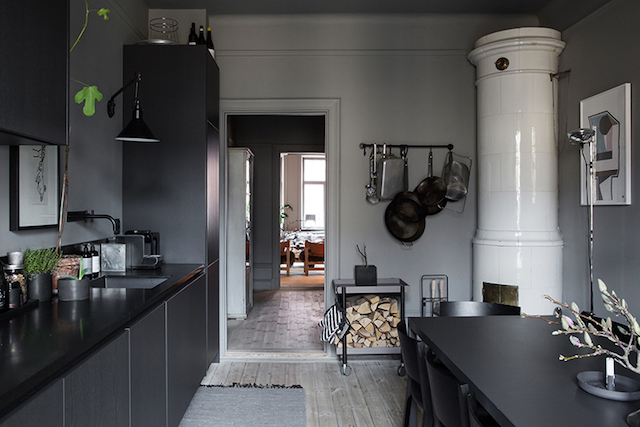 The vibe reminded me a lot of the home of one of Sweden's top interior designers - Lotta Agaton - a cosy cocoon-like space which came out on the market this weekend. 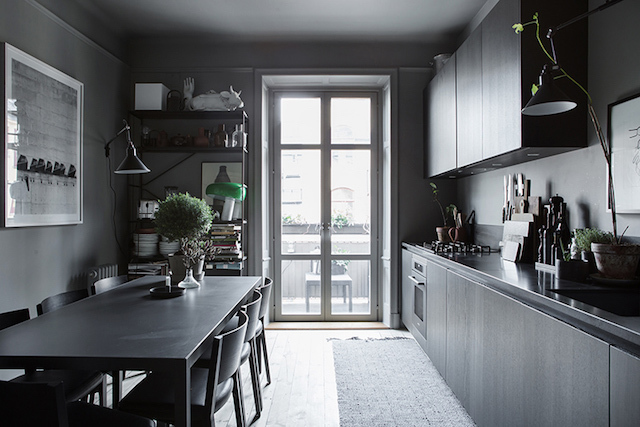 Smoky dark grey walls combine with black, green and white accents in an apartment brimming with beautiful treasures. I'd want to buy it with everything intact, how about you?! 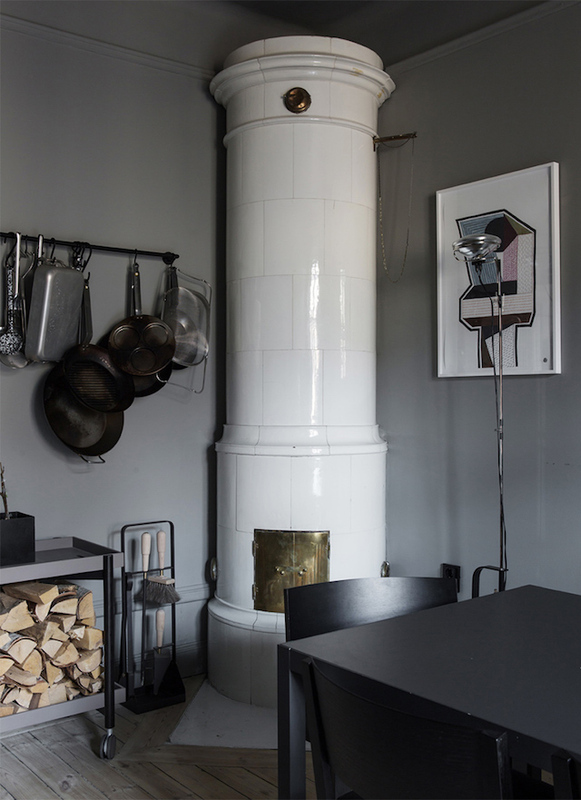 The home of Lotta Agaton - for sale through ESNY. Wow! Every time I see this space I fall more in love with it. 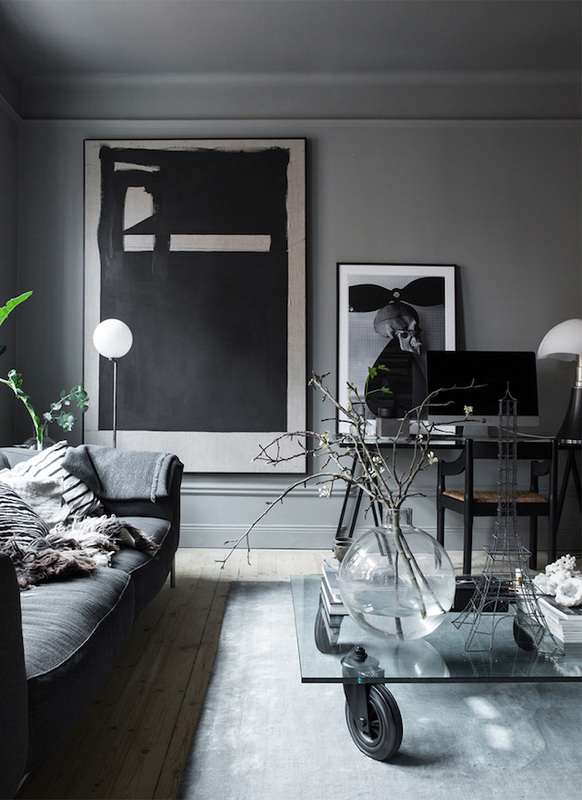 It also gets me wondering about introducing darker tones into my home. Although, I have to say Lotta can rock a white backdrop too - as seen in her previous home. I can't wait to see what she does next, how about you?! 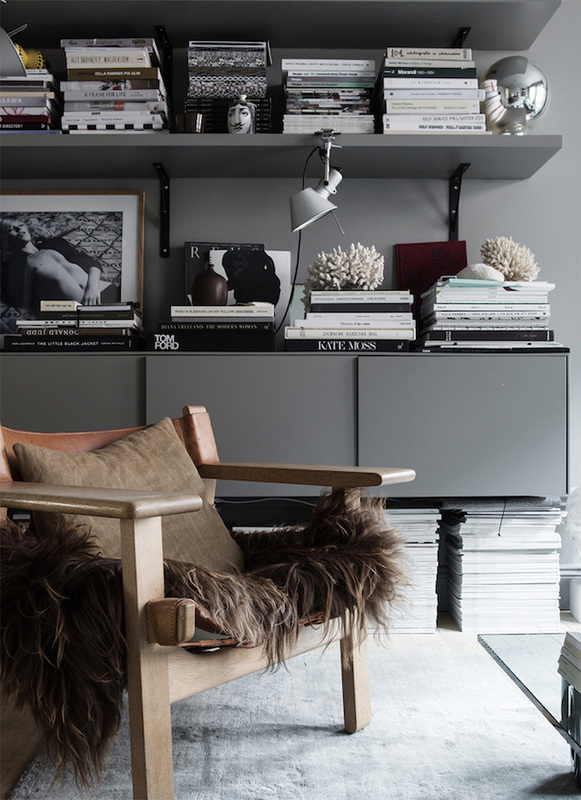 Get the look from Lotta's beautiful home: sitting room - safari lounge chair (available through various auction sites), brown sheepskin throw, Kate Moss and Tom Ford books kitchen - snoopy lamp (in green), Gras wall lampe bedroom - flos 265 wall lamp. 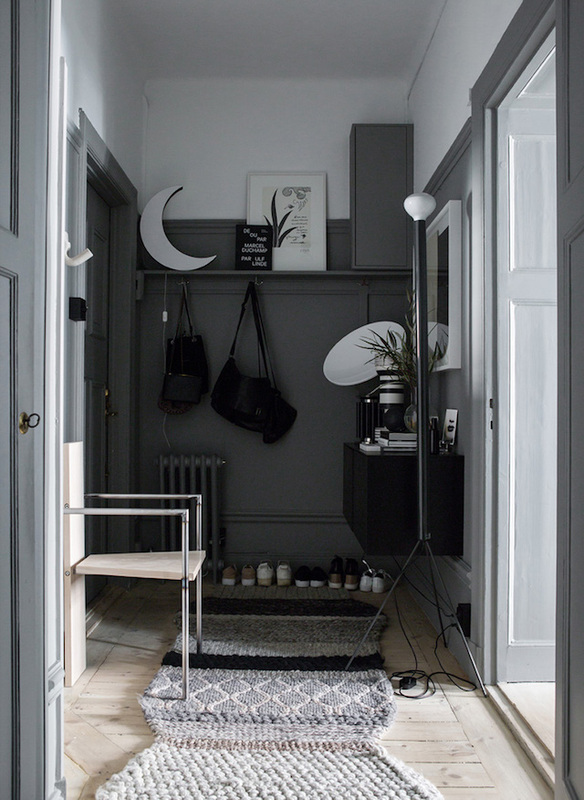 Hallway - rug by Gan. 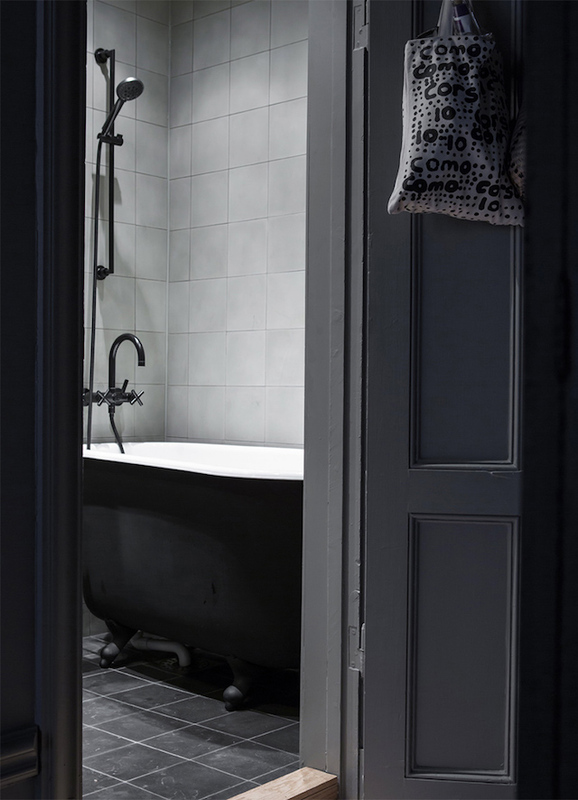 For a similar wall tone try swatches from the Farrow & Ball dark colours collection. 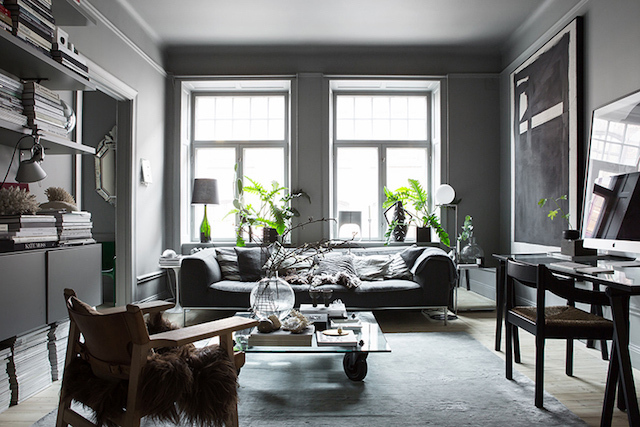 Grey and green have also been combined in a beautiful way in this sophisticated Swedish space - what a beautiful blend? Lovely dark colors. the rooms looks so beautiful and i absolutely love the chair. The dark tones are absolutely spot on aren't they Nadia? It's such a beautiful home. 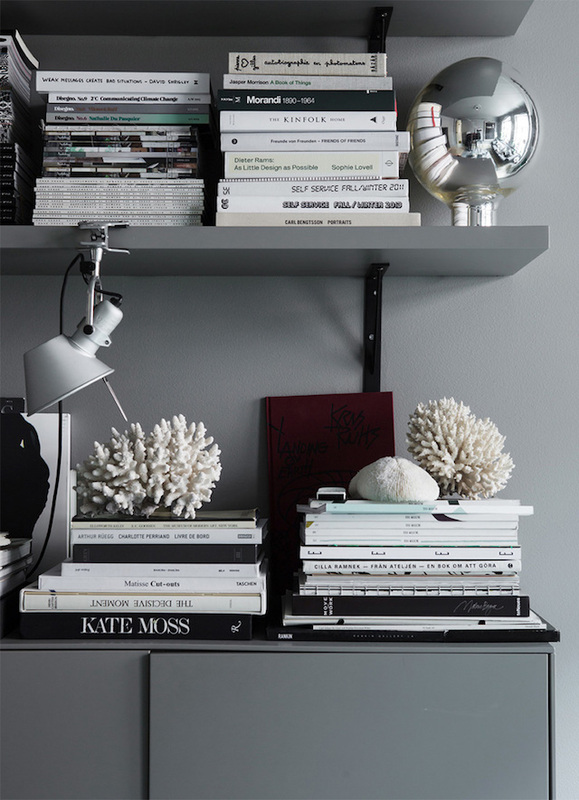 I need all those books and the lovely wall art! WOW!!! This place has serious style statement rules involved!!! 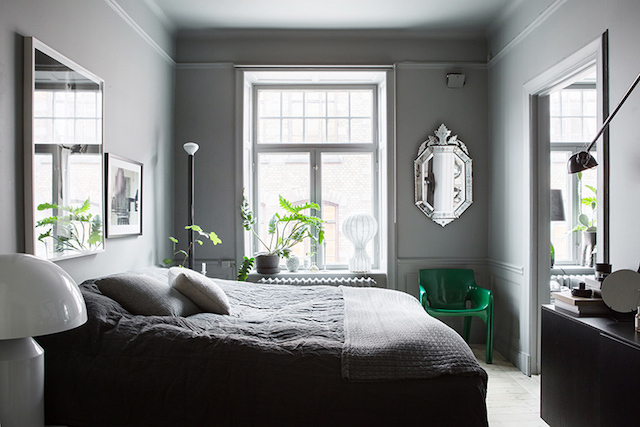 I looove the emerald chair and the mirror in the bedroom! And the grey on grey! wow!! 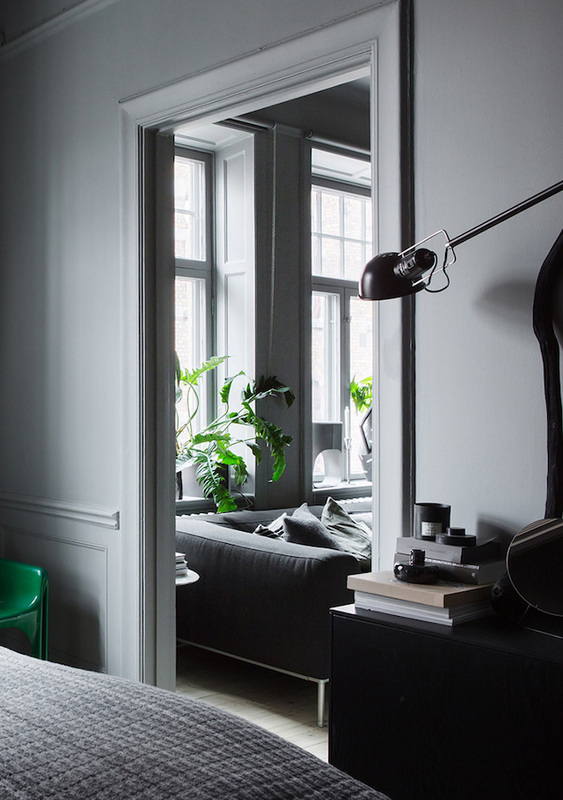 I love the emerald green chair too - it really pops against the grey background - such a beautiful match. That sofa seems to be so cozy.